This article was originally published by the Institute for Security Studies (ISS) on 6 January 2016. 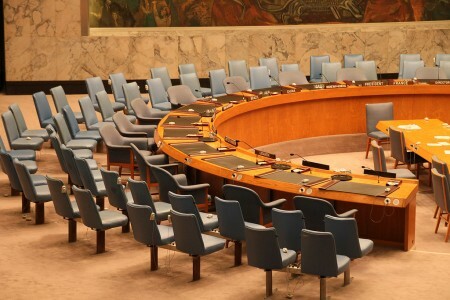 When the 70th session of the United Nations General Assembly (UNGA) opened on 15 September 2015, reforming the UN Security Council (UNSC) was again on the agenda. By the time that the annual general debate concluded on 3 October, no agreement had been reached on an issue that has remained unresolved for several decades. The composition of the UNSC has only been changed once. This occurred in 1964, after a large expansion of UN membership and two years of intense debate that resulted in four additional non-permanent seats, increasing the Council to 15 members. Discussions about UNSC reform assumed a different approach during the most recent round of negotiations that started early in 2015. The former UNGA president, Sam Kutesa from Uganda, worked closely with the chair of the intergovernmental negotiations – the Jamaican representative, Courtney Rattray – to advance the discussions. Each UN member state was asked to present its position, and these were then used to draft a single, integrated negotiation text. The document produced was 118 pages long, consisting of 22 official pages plus 96 pages of specific ‘inputs’ provided by several members. This so-called Framework Document highlighted the same issue that has plagued discussions in the last two decades: member states are not willing to compromise.